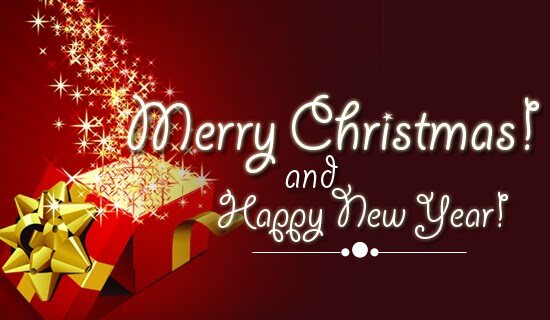 From all of us to all of you, the contributors to the Commercial Space blog want to wish our friends, families, colleagues and readers a Merry Christmas and a Happy New Year. We'll be taking a break to reconnect with our friends and families and to enjoy the holiday season, but the Commercial Space blog will return with all new stories beginning January 5th, 2018. Much like 2016, Canada's space sector spent large portions of 2017 reliving past glories, waiting patiently for committees focused around science and space to complete their assessments intended to point the way to the future and for the Federal government to act on those recommendations. Image representative of Canadian space activities from the Spaceschool.ca website, an initiative developed for Canadian students from K-12 and teachers "to help inspire Canadian students and teachers to expand on space-related education to give young people the technical skills to thrive in their futures here on earth, or in space." One of the Canadian Space Agency's (CSA) major mandates is to inspire the next generation of science, technology, engineering and mathematics (STEM) experts. It's one of the easier CSA jobs, just perfect for the creation of inspiring (if terrestrially designed) graphics and far simpler than actually going into space. Graphic c/o spaceschool.ca. In the end, Canadians got two out of three of the items listed above. Only the part where the Federal government (or any other major player in the sector) actually acts upon those recommendations (perhaps even "for the benefit of Canadians") seems to have so far eluded us. 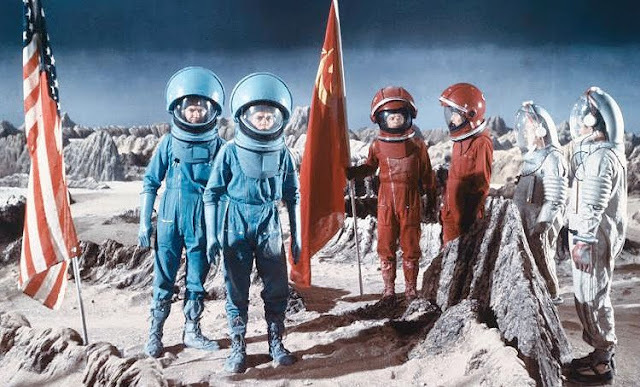 Meanwhile, back in the real world, several "progressive" foreign governments have seen the writing on the wall and begun slowly coming to grips with supporting a private sector driven space industry racing to harvest the massive riches in orbit. on the Moon, Mars and throughout the rest of the solar system. These governments include the Trump administration in the US and a small European micro-state officially named the "Grand Duchy of Luxembourg." It's fortunate that the country is totally unrelated to the small, fictitious European Grand Duchy featured in the 1963 British comedy film, "The Mouse on the Moon." The 1963 British comedy film, "The Mouse on the Moon," isn't especially good. But it is a reminder that earlier generations understood instinctively that politics and space exploration were inextricably intertwined. As outlined on the Wikipedia page for the movie, "Financial disaster looms for (the) Grand (Duchy of) Fenwick when the current vintage of its only export, wine, starts exploding in would-be consumers' faces. Prime Minister Mountjoy (Ron Moody) decides to ask the United States for a loan, ostensibly to fund its entry in the race to the Moon, but actually to save the duchy (and install modern plumbing so he can have a hot bath). The devious politician knows that the Americans will not believe him, but will consider the half million dollars he is asking for to be cheap propaganda supporting their hollow call for international co-operation in space..." Graphic c/o TV Cream. Reliving past glories, especially within the context of Canada's 150th birthday celebrations, was an area where this blog was well placed to contribute. Canada's aerospace raison d'être has always derived from its immense size, its location in the far north as a vast, barely-tracked wilderness of incalculable resources and the logical requirements relating to defence, communications, utilization and exploration which naturally follow from its size and location. Beginning with the March 19th, 2017 post, "Abstract, Introduction & The 1950's" and finishing up with the June 4th, 2017 post, "Lessons and Conclusions," the series, written by two well known Canadian aerospace professionals (retired Canadian diplomat Graham Gibbs & former Canadian Space Agency president W. M. "Mac" Evans) came to substantively different conclusion. In essence, Godwin argued for missions based upon Canadian requirements and capabilities while Gibbs and Evans argued that international cooperation on projects of international interest is an effective way to both conquer space and keep costs down. The dichotomy between the two viewpoints, and how taken together they effectively summarize to two major paths relating to Canada's space future, was later revisited in the October 2nd, 2017 post, "Policy Options Begins the "Real" Debate over Canada's Future in Space." As for the committees focused around space and science, there were two of them reporting this year. As outlined in the April 17th, 2017 post, "'Massive' Review of Federal Science Funding Finally Released; Will Likely Soon 'Drop Down the Memory Hole'," the first was the David Naylor led Review of Federal Support for Fundamental Science, which covered the activities of the National Research Council (NRC), the Social Sciences and Humanities Research Council (SSHRC), the Natural Sciences and Engineering Research Council (NSERC), and the Canadian Institutes of Health Research (CIHR), as well as programs like the Canada Foundation for Innovation (CFI), the various Canada Research Chairs, Genome Canada and others. 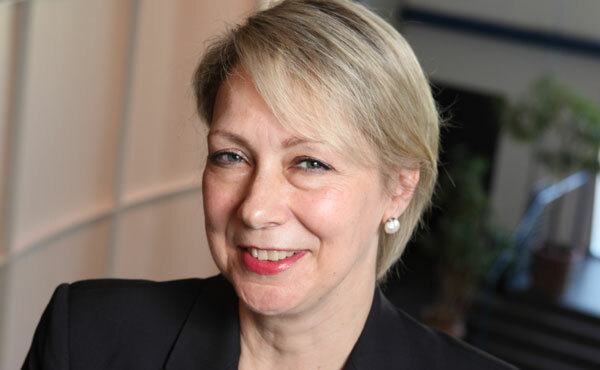 Although initially dismissed because it requested an increase of "base-level spending" by "core funding agencies" to $4.8Bln CDN a year from the current $3.5Bln CDN, in order to "assist young researchers," the Naylor report is slowly gaining traction among academics and could potentially end up as a voting issue in the next Federal election. As outlined in the December 18th, 2017 Globe and Mail post, "Sensing a moment, Canadian scientists swing for the fences," after a "lukewarm response earlier this year to a report that calls for a 37-per-cent increase in annual funding for university-based research, Ottawa is showing signs that it is coming around to the idea that Canadian science needs a significant boost." Of course, that doesn't mean that the Federal government under Prime Minister Justin Trudeau will act. It only means that he is under pressure to do so. The results of that pressure will only become clear in 2018. Or maybe noot. After all, politics, even more than rocketry, is very, very hard. Then industry minister James Moore at the 2014 Canadian Aerospace Summit and his successor, innovation minister NavDeep Bains at the 2016 edition of the same event. As outlined in the November 19th, 2014 post, "Industry Minister Moore Announces Space Advisory Board Members," the membership of the space advisory board was long-awaited even in 2014, when Moore appointed retired astronaut Chris Hadfield, retired general and former CSA president Walt Natynczyk and others to the original committee. However, the 2014 board never issued a report and so the search for a new board was announced by Bains in November 2016 at the 2016 Aerospace Summit. The creation of a space advisory board was one of the recommendations of the November 2012 Federal Review of Aerospace and Space Programs and Policies (or "Emerson Report") which was presented to another industry minister, Christian Paradis, in November 2012. Photo's c/o Chuck Black & Brian Orlotti. Those who don't believe that politics is just as hard as rocketry should check out the Space Advisory Board (SAB) which, as outlined beginning with the April 20th, 2017 post, "Space Advisory Committee Members Announced: Various Stakeholders Release Independent Assessments, Just in Case," had a far more difficult time executing its mandate. In fact, by the time the final report was released, and as outlined in the August 25th, 2017 post, "Space Advisory Board Report: "Sound and Fury, Signifying Nothing" Except that Board Members Want to Keep their Jobs," the SAB members were only really willing to concede a single point. While they accepted that the SAB mandate hadn't been fulfilled with the release of the August 18th, 2017 SAB report, "Consultations on Canada’s future in space: What we heard: Space Advisory Board, August 2017" the board members wanted to keep their jobs and promised to do better next time. SAB chair Stojak. Photo c/o HEC. To that end, and as outlined in the December 21st, 2017 More Commercial Space News post, "Space Advisory Board Wishes Canadian Space Industry a Happy Holiday & lists its activities," Lucy Stojak, the chair of the SAB has provided a list of activities undertaken by SAB members over the last little while. The Aerospace Industries Association of Canada (AIAC) 2017 Canadian Aerospace Summit, which was held in Ottawa on November 7th - 8th, 2017. where SAB members "supported the Minister of Innovation, Science and Economic Development at the Leadership Luncheon where he participated in a Fireside Chat with Jim Quick, President and CEO of the AIAC." The Canadian Space Commerce Association (CSCA) 2017 Space Policy Symposium, which was also held in Ottawa on November 9th, 2017, where SAB board members "participated in an interactive session where questions were answered on topics including youth engagement, public awareness, scientific opportunities, academic activities, etc." The Canadian Space Society (CSS) 2017 Space Summit, which was also held in Ottawa from November 21st - 22nd, 2017 where SAB board members "participated on various panels on topics including start-ups, education and outreach, space commerce, etc. Members also provided keynote speeches and closed the Summit with an Arm Chair Session alongside the AIAC." The Canadian Space Agency (CSA) Space, Health and Innovation Forum, which was held near Ottawa in the John H. Chapman Space Centre, Saint-Hubert, PQ on from November 29th - 30th, 2017 where SAB board members "participated as a moderator for the panel on Health Risks of Spaceflight." As a knowledgeable reader can almost instantly discern, these four events were all in or near Ottawa, held in November 2017 and seemed to include no discussions of policy recommendations from SAB board members. SAB members did show up for the listed meetings and often supported either the Federal government or the AIAC members in attendance, but likely didn't say anything memorable or specific. But while good attendance and social graces are useful skills to possess, the SAB isn't lobbying the space industry to support anything in particular, as did those advocating for hard conclusions and increased funding included within something like the David Naylor led report. Without solid conclusions and recommendations, the SAB report will gain no support among government or industry stakeholders, even if the SAB is allowed to follow through on its promise to do better next time. As of press time, the Federal Liberal government under Prime Minister Justin Trudeau had not responded to the SAB report. Of course, there's no doubt that the most difficult part of the SAB mandate, as defined by the April 18th Canadian government post, "Government of Canada renews Space Advisory Board," is to "engage with Canadians to develop a new vision for Canada’s space sector and define key elements of a strategy that will be launched this summer." This is especially true if you expect to be almost immediately ignored, not just by the Federal government, but also by the government agency responsible for coordinating Canadian space activities in favor of it's own, already well defined mission. Which is, in this case, almost exactly what happened. As outlined in the September 28th, 2017 post, "A New Science Advisor, that "Massive" Science Review, the Deep Space Gateway & the Latest JWST Postponement," the Canadian Space Agency (CSA) has mostly signed on to international plans for the Deep Space Gateway (DSG), a crew-tended cislunar space station "concept" proposed for possible partnership between NASA, Roscosmos and other International Space Station (ISS) partners for construction in the 2020s, after the ISS is retired. The only real advantage of the DSG is that it preserves existing space industry expertise since it requires pretty much the exact same contractors and skill-sets as were required to build the ISS. Those assets can easily be transferred over from the ISS program after the ISS is decommissioned. By the end of the year, and as outlined in the December 1st, 2017 post, "Deep Space Gateway "Key Part of Exploration Roadmap," the proposed DSG was pitched as being the core of an updated Global Exploration Roadmap being drafted by the International Space Exploration Coordination Group (ISECG) and expected to be released in January 2018. Of course, ISECG includes the CSA as a member. In fact, the only national space agency with a real option to either accept or reject the DSP is NASA. But, as outlined in the December 11th, 2017 post, "Dreaming Big: US President Trump Signs Directive to Send Americans Back to the Moon, Probably!," we'll need to wait until NASA's 2019 budget request is tabled in the US Congress to know for sure about their plans. So the CSA will more likely than not sign on to this proposal just so long as NASA does, no matter what our domestic SAB might want to decide. If you're a member of the SAB, the reality of that situation has just gotta hurt. 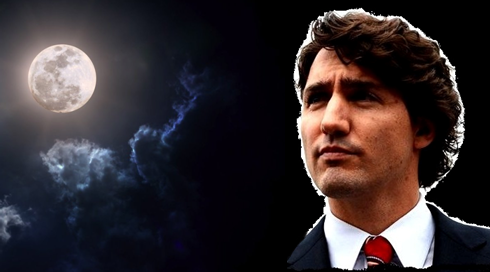 It's worth noting that, at least in the beginning of the year, and as outlined in the January 22nd, 2017 post, "If Justin Trudeau Wants " Moon Shots," He Should Look to the Moon!" our Canadian Prime Minister was supposedly pursuing every available option to build actual policies around the concept of "Canada's innovation agenda," even going so far as to describe them as "Moon shots." As outlined in the article, most of those ideas were non-starters, although it also noted at least one private sector Canadian expatriate (Moon Express CEO Bob Richards) who likely would be able to land technology to the Moon in the near future. Now that the CSA, as part of the DSG program described above, is actually considering a return to the Moon, the silence from Ottawa is deafening. Photo's c/o Singularity Hub & Hollywood Life. From a business perspective, the big Canadian disappointment of the year is the postponement of the multi-billion dollar enhanced satellite communication project (ESCP), a long running, expensive, but mostly unfunded proposal to build a two node constellation of modified Molniya orbiting Department of National Defence (DND) satellites "to fill the requirement of the new Canadian defense policy for all-Arctic (communications) coverage." As outlined in the December 08, 2017 post, "Long Awaited DND Polar Sats Postponed. Will be Cancelled/ Replaced/ Renamed After Next Election (Like Last Time)," the project had been languishing under a variety of different names under at least two different Federal governments since at least 2008. The latest delay is expected to kick off with a new round of "engagement" with industry to further define program requirements and help bring aboard new partners. Given the new time frame (with contracts being awarded "no later than 2024" and "initial operating capability" expected "no later than 2019"), it's quite possible that this program will soon be superseded by a variety of private sector satellite initiatives expected to come on line over the next few years. But while Canada's space industry mostly remained in a holding pattern (and the Canadian government remained mostly silent) at least three foreign governments (the US, the Isle of Man and Grand Duchy of Luxembourg) are moved forward with changes to laws governing the utilization of in-situ resources in space and their private sector utilization. As outlined in the August 1st, 2017 Inverse post, "Luxembourg's Asteroid Mining is Legal Says Space Law Expert," the new laws allow Luxembourg mining companies to "mine space rocks bigger than itself." The new laws are coming at such a fast and furious pace that, as outlined in the November 23rd, 2017 post, "Lori Garver on Gov't Competing with the Private Sector, NASA, NewSpace, Maxar and the Brooke Owens Fellowship," there is now legitimate concerns over whether or not government space programs are beginning to compete with private sector initiatives. To find out whether or not that state of affairs is an accurate assessment of the situation, it might be wise to check with SpaceX CEO Elon Musk. As outlined in the September 29th, 2017 Planetary Society post, "SpaceX CEO Elon Musk updates Mars colonization plans," the current king of reusable rockets is planning to colonize Mars well ahead of NASA or the international consortium of space agencies currently committed to the DSG. Based on his past accomplishments, he has a better than even chance of succeeding. There's certainly no real competition there. How big is the Canadian space industry? As outlined in the December 4th, 2017 post, "The Latest CDN Space Sector Report Notes 5 Year Slump (Except for BC) & Industry Dominates, Not Academia or Gov't," the industry is a $5.3Bln CDN behemoth, employing almost 10,000 people across the country from mostly the private sector. It's been stagnating since 2010. Graphic c/o CSA. Even the private space sector, normally the main driver of Canadian space activities had a pretty quiet year in space, although there were many Earthbound challenges. Richmond BC based MacDonald Dettwiler finally became San Franscisco CA based Maxar Technologies (the December 19th, 2017 post, "Maxar's Win and Canada's Loss"), a small Canadian based company (with secretive US based employees, Canadian lobbyists and strong connections to the Ukraine) offered to build an East coast rocket port (the November 16th, 2017 post, "More Rocket Shenanigans, Parts Problems at KB Yuzhnoye & Skyrora's Plan for a Scottish/ Ukrainian Spaceport"), Northern Canadians felt ignored (October 20th, 2017 post, "Inuit Leaders Ignored as ESA Satellite Launched Over the Arctic" ) and private satellite developers slowly moved forward with the technical and legal requirements needed to operate huge low Earth orbit satellite constellations (the September 11th, 2017 post, "New FCC Rules a Defeat for SpaceX, But May Signal Opportunity for OneWeb & Telesat"). Also, it's worth noting the latest Canadians who've decided to make the US the home base for their space activities (the September 25th, 2017 post, "Kepler Communications Co-Founds US Based Small-Sat Lobby Group" and the November 7th, 2017 post, "Another High Level Canadian Space Expert Relocates to the US." Oh yeah, and Norsat got sold to the Chinese (the July 6th, 2017 post, "Avoiding "Norsat Like Uncertainty" by Allowing the Chinese to More Easily Buy Advanced Canadian Companies"). But perhaps the biggest, most under reported space story of the year, which will most affect Canada's space efforts over the long-term, was a story Canada played only a peripheral role in. As outlined in the December 19th, 2017 post, "ESA Signs €75Mln Euro ($114Mln CDN) Contract With Arianespace to Develop Prometheus Reusable Rocket," there are a lot of private sector players in space these days, several are building reusable rockets or going to the Moon or Mars on their own and governments keep bumping up against them. So what's going to happen next year in space for Canada? 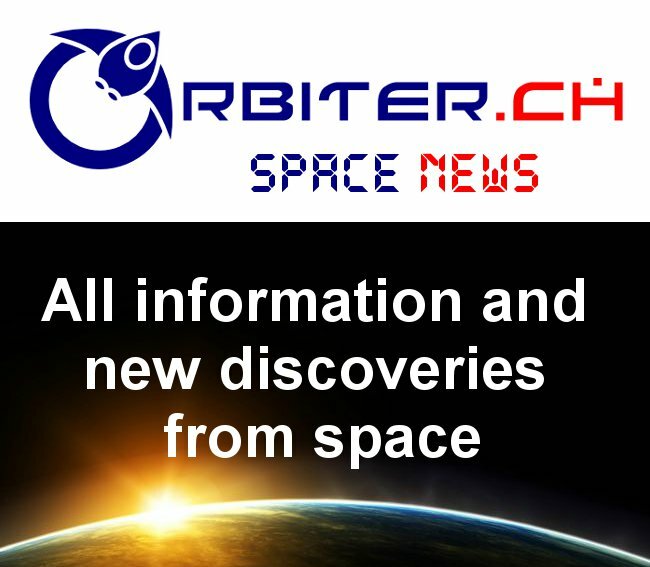 Find out, beginning January 5th, 2018 when the Commercial Space blog returns with all new stories. CEO Steve Matier and his colleagues at Canso, NS based Maritime Launch Services (MLS), who insist that they are about to build a NS based, commercial rocket launch facility for the expendable Cyclone 4M rockets being designed by the Dnipro, Ukraine based Yuzhnoye Design Bureau, might want to take note. It isn't just US based entrepreneurs like Hawthorne, CA SpaceX with its crazy CEO Elon Musk or Kent, WA based Blue Origin, founded by Jeff Bezos (currently listed by Forbes as being the "richest person in the world"), who are developing reusable orbital rocket launchers. The European Space Agency (ESA) and ArianeGroup (a joint venture of Toulouse, France based Airbus SE and Paris, France based Safran Group which acts as the primary contractor for manufacturing of the Ariane 5 launch vehicle) have just signed a contract worth €75Mln Euros ($114Mln CDN) to move forward with the development of the Precursor Reusable Oxygen METHan cost Effective Engine (Prometheus), a proposed low cost and reusable rocket engine. The new contract covers a full-scale Prometheus demonstrator for the engine currently expected to power Europe’s future launchers, beginning in the 2020's. The project is being pitched to the ESA as the only way to remain competitive with the reusable US based launch providers. As outlined in the December 18th, 2017 Room: The Space Journal post, "Prometheus to power future European launchers," the engine "is a move away from the traditional Ariane propellant technology. Not only does the engine have the potential to be re-used up to at least five times, but the key propellant ingredient is no longer hydrogen, but methane." Prometheus will burn a mixture of liquid oxygen and methane which has the added benefit of simplifying the propulsion stage design. Coupled with significant economic savings gleaned from the additive layer-by-layer manufacturing production (3D printing) of the engine, Prometheus could cost just a tenth of what the current Ariane 5’s Vulcain 2 engine costs - that is a potential saving of nine million euros (per build). The SpaceX Falcon-9 orbital rocket utilizes Merlin 1D rocket engines burning liquid oxygen (LOX) and rocket-grade kerosene (RP-1). The current Blue Origin New Shepard suborbital rocket uses a BE-3 bi-propellant rocket engine burning liquid hydrogen and liquid oxygen. Of course, any commercial Canadian launch facility operating legacy, expendable rockets probably understands the competition as well as anyone, especially when the competition has such as obvious technological advantage as "reusability." All of which means that there is likely more to this story than meets the eye. Perhaps the December 18th, 2017 Global Research post, "Canada Becomes Party to Ukraine’s Conflict. Sells Lethal Weapons to Kiev Regime," explains the underlying situation best. The Canadian government has given the green light for national defence contractors to sell weapons to Ukraine. This makes Canada a party to the conflict (the Crimean Crisis, a conflict with Russian Federation, which annexed the Crimea in 2014) with all ensuing consequences. The decision sets no preconditions for selling the armaments to Ukraine. It has been taken despite the fact that Project Ploughshare (the developer of the annual Space Security Index, which covers emerging concerns related to the safety, security and sustainability of outer space activities) and Amnesty International Canada opposed the plan, saying Kiev has so far failed to improve the human rights situation. Canada’s Standing Committee on National Defense has published a report entitled “Canada’s Support to Ukraine in Crisis and Armed Conflict,” which recommends that the government provide lethal weapons to Ukraine if it demonstrates active work on fighting corruption in the country. Whether or not the Canadian governments "green light" includes the provision to transfer Ukrainian missile technology to Canada as required is not yet clear from available reports. All that is certain is that the business case for expendable rockets like the Cyclone-4M is also not yet clear in the face of reusable and lower cost competition from competitors like SpaceX, Blue Origin and the ESA. This blog last compared the Prometheus rocket program to the MLS Cyclone-4M program in the February 6th, 2017 post, "Europe Will Fund the Prometheus Reusable Engine; Canada Pitched Cyclone-4's," and expects to revisit both projects in the new year. We last discussed the capabilities of Ukrainian rocket companies in the November 16th, 2017 post, "More Rocket Shenanigans, Parts Problems at KB Yuzhnoye & Skyrora's Plan for a Scottish/ Ukrainian Spaceport." Maxar CEO Howard Lance, and his team at the NYSE last week. "On Friday, one of Maxar's business units, signed four contracts valued at about $42 million (US) with the Canadian Space Agency," according to CNBC. Maxar is "a leading commercial supplier of advanced satellite systems, optical imagery and geospatial analytics to commercial and government customers worldwide" and "has designs to grow earth observations and to advance the geospatial segment to better support commercial customers, the US Department of Defense and Intelligence Community and International Governmennts." Graphic c/o CNBC. As outlined in the December 15th, 2017 CNBC post, "Global communications company, Maxar, rings closing bell at NYSE," Maxar’s President and CEO, Howard Lance made the announcements on US based news network MSNBC (along with the online focused CNBC subsidiary), but mostly ignored Canadian media outlets, except for the December 15th, 2017 MDA Canadian press release, "MDA advances innovative robotics and rovers for space exploration and to support on-going operations of the ISS," which didn't cover the RCM announcement. RCM is a Canadian Government space mission that will consist of a fleet of three Earth observation satellites which will utilize synthetic aperture radar (SAR) for a variety of purposes, including maritime surveillance, environmental monitoring and resource management. The RCM will improve on its predecessor, RADARSAT-2, by enabling more frequent coverage of Canadian territory and reduced risk of service outages. Two amendments to an existing contract for continued support of the International Space Station’s (ISS) Mobile Servicing System (MSS). A $800,000 CDN contract to develop future autonomous space hardware (including robotic arms, rovers, scientific instruments, and satellites) under the CSA Space Technology Development Program (STDP). A $450,000 CDN contract for a concept study for two lunar rovers: a pressurized rover to transport astronauts on the Moon's surface and a smaller rover intended to collect lunar samples serve as a test bed for the technologies required for the pressurized rover. Maxar Technologies was formed last October when MacDonald, Dettwiler and Associates (MDA) merged with Colorado based satellite imagery provider DigitalGlobe in a $2.4Bln CDN deal. Maxar is essentially a fusion of its two parent companies and their two acquisitions, including Palo Alto, CA based Space Systems Loral (SSL) and Gaithersburg, MD based Radiant Solutions. The new company employs over 6,000 people across the globe. MacDonald, Dettwiler and Associates (MDA), via its corporate predecessors, MD Robotics and SPAR Aerospace, was the recipient of hundreds of millions of Canadian taxpayer dollars starting in the 1980’s for the development of the Canadarm and its derivatives. However and as outlined in the December 16th, 2016 post, "MDA says No Sale of Canadarm Technology to the US Government in NASA RESTORE-L, DARPA RSGS or "Any Other" Project," Maxar and its subsidiaries have insisted that none of the products developed using Canadian taxpayer dollars have been used in US projects although many, including this blog, have strongly suggested otherwise. After the CSA related announcements concluded, Maxar CEO Howard Lance took part in the ritual ringing of the closing bell at the New York Stock Exchange (NYSE). Perhaps the bell was meant to celebrate Canadian foolishness as much as Maxar’s success. Editors Note: The mainstream media is slowly gaining an awareness the material highlighted in this blog over the last few years, most recently in the December 28th, 2017 Globe and Mail post, "How Canada lost its foremost space company." 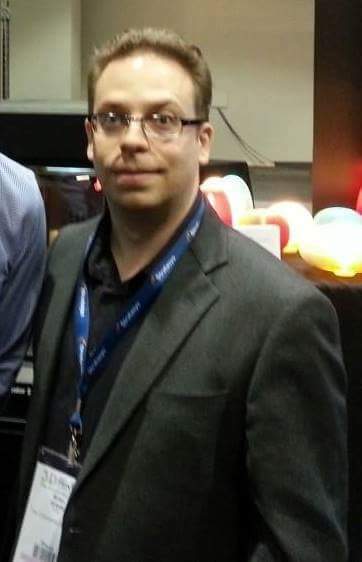 According to that article, written by Michael Byers, who currently holds the Canada Research Chair in Global Politics and International Law at the University of British Columbia (UBC), "the government of Stephen Harper would never have allowed this (the reorganization of the Canadian based MacDonald Dettwiler into the US based Maxar Technologies) to happen." According to Byers, "it is too late to stop MDA from becoming American, but not too late to consider punitive measures. If the company's CEO or directors knowingly misled the Trudeau government, they should be investigated for possible violations of Canadian law. As for the company, it could be blocked from bidding on Canadian government contracts for a period of time." Expect the issue to become a partisan point of discussion during the run up to the next Federal election, which should happen sometime in 2020. Toulouse, France based Airbus SE has a successful commercial story to tell about one of its newest satellites, the PerúSAT-1, a high resolution earth observing satellite built for the Peru National Space Agency (CONIDA), an organization attached to the Peruvian Ministry of Defense. Expect the Airbus Canadian subsidiary to reference the story every chance it gets as it seeks to win new domestic satellite and space contracts. PerúSat 1 is an high resolution earth observing satellite ordered by the Peruvian Space Agency in April 2014 and launched as a secondary payload on an Arianespace Vega launch vehicle in 2016. As outlined on Gunter's space page, "the satellite is designed based on Airbus Defence and Space's AstroBus-S (AstroBus-300) bus and features an imaging system from the NAOMI (New Astrosat Observation Modular Instrument) family to provide 0.7 m resolution panchromatic images and 2 m resolution images in four wavelengtt bands." Graphic c/o Airbus. As outlined in the December 14th, 2017 SatNews Daily post, "Peruvian Government Reports Investment in Airbus' PerúSAT-1 Already Recovered ... In First Year," the Peruvian government has already declared PerúSAT-1 a great success. According to the article, "PerúSAT-1 has completed its first year of operation and the Peruvian government has recently declared that in that time, the investment it has made into the satellite program has already been recouped." The detection of public works irregularities for the Peruvian General Attorney's office. Drug trafficking intelligence and property identification for Peru's national police. The evaluation and analysis of landslides in the Vitorbasin for the Vitor District Municipality. Map generation to track deforestation in the San Martín Region. The generation of a new national cartography map for the National Geographical Institute (IGN) at a lower cost than could be done using traditional methods. Landslide and volcano monitoring for the Geology, Mining and Metallurgic Institute (INGEMMET). Update and elaboration of satellite imagery, aerial reconnaissance and field data for post disaster evaluation in Lima and Callao after earthquakes for the United Nation’s Development Programme (UNPD) and the National Institute for Civil Defence (INDECI). Strategic support and generation of a spectral signature data base for "precision agriculture" initiatives at the San Marcos Mayor National University (UNMSM). Since the October 2016 signing of the Comprehensive Economic and Trade Agreement (CETA), a free-trade agreement between Canada and the European Union (EU) intended to eliminate 98% of the tariffs between the two, Airbus has been ramping up its efforts to sell satellite and military technology to Canadian customers in both the government and the private sector. As outlined in the January 7th, 2017 Esprit de Corps post, "Eyes in the North: Airbus Canada aims to Deliver Cutting-Edge Space Systems," satellites and space systems, "make major contributions to the effectiveness of Canada’s maritime surveillance, search and rescue, and Arctic sovereignty capabilities." The US Federal Communications Commission (FCC) has signed-off on at least part of the paperwork required to approve Dulles, VA based Orbital ATK’s proposed upcoming satellite servicing mission to rendezvous and dock with the Intelsat 901 (IS 901) communication satellite. 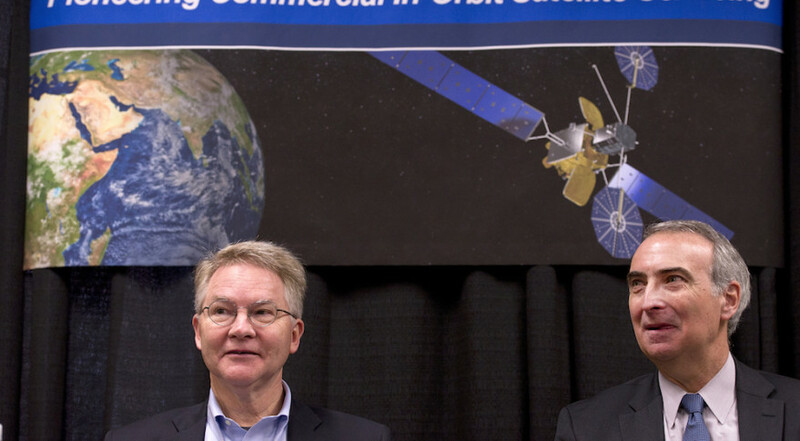 Orbital ATK CEO David W. Thompson and Intelsat CEO Stephen Spengler announce their satellite servicing agreement at the 32nd Space Symposium, which which was held from April 11th - 14th, 2016 in Colorado Springs, CO. As outlined in the April 12th, 2016 Space News post, "Orbital ATK signs Intelsat as first satellite servicing customer," the two companies scheduled their first launch in 2018 and so far at least, seem to moving forward according to plan. According to the post, "MEV-1 will first dock with a retired satellite in a graveyard orbit above stationary orbit to test its systems, then dock with an active Intelsat satellite to extend its life for five years." Photo c/o Chuck Bigger. The IS 901 was the first of nine new Intelsat satellites launched in June 2001. It currently provides Ku-band spot beam coverage for Europe, as well as C-band coverage for the Atlantic Ocean region and is reaching the end of its operational life, but could potentially be refueled for several more years of service. The satellite is operated by US and Luxembourg based Intelsat. As outlined in the December 12th, 2017 Space News post, "FCC begins approval of Orbital ATK satellite-servicing mission for Intelsat-901," the proposed mission is intended to test out the new Mission Extension Vehicle-1 (MEV-1), a satellite servicing vehicle operated by Orbital ATK subsidiary Space Logistics Services, which was set up specifically to deal with Orbital ATK’s satellite-servicing business. The commission has, for now, withheld permission on a request from Space Logistics LLC, the subsidiary handling Orbital ATK’s satellite-servicing business, for relocating Intelsat-901 alongside another Intelsat satellite. The agency also deferred on a request to undock MEV-1 from Intelsat-901 at the end of that mission and to return MEV-1 to a graveyard orbit to await its next assignment. Satellite servicing is a relatively new area for regulators, consequently requiring a lot of trailblazing by Orbital ATK. (Joe) Anderson, (the VP of business development and operations for Space Logistics) said the company has been in a dialogue with the FCC, the U.S. State Department and the Federal Aviation Administration (FAA) for several years, and those discussions concluded that the FCC would be the licensing body for launch, deployment, docking and TT&C. Several other hurdles remain to be jumped in order to obtain the necessary regulatory approval, but all sides are optimistic that a solution can be found before the planned launch of the MEV-1 in late 2018. As outlined most recently in the July 17, 2017 post, "Orbital ATK, DARPA, MacDonald Dettwiler, DigitalGlobe & Unleashing the Lobbyists," Orbital ATK isn't the only private firm developing the capability to service satellites in orbit. In fact, Orbital ATK spent a surprising amount of the last year in pitched battle with then Richmond, BC based Macdonald Dettwiler (MDA), its US MDA subsidiary Space Systems Loral (SSL) and then Westminster, CO based Digitalglobe to prevent the US government from providing a variety of subsidies to it's competitors, in the form of Defense Advanced Research Projects Agency (DARPA) grants and NASA Restore-L contracts, in order to build much the same sort of satellite servicing technology. Orbital ATK argued that the US government provided an unfair advantage to MDA/SSL/Digitalglobe by providing the DARPA/NASA funding when the private sector was already competing in the area. US courts rejected that argument. But while both MDA and Digitalglobe are now operating under the banner of San Francisco, CA based Maxar Technologies, the partnerships and DARPA/NASA funding remain intact. Orbital ATK perseveres with its program, at least for now. It will be interesting to see which company manages to eventually pull ahead in this marathon. Dreaming Big: US President Trump Signs Directive to Send Americans Back to the Moon, Probably! US president Donald Trump has signed a directive, instructing NASA to return Americans to the Moon, with the intent to one day send them to Mars. Canada is hoping to tag along for the ride. The US president signed the order during a ceremony in the Oval Office on December 11th, 2017, while surrounded by members of the recently re-established National Space Council (NSC), along with active NASA astronauts Christina Hammock Koch and Peggy Whitson, retired Apollo 11 astronaut Buzz Aldrin, and retired astronaut Jack Schmitt, who flew to the moon as part of the Apollo 17 mission. As outlined in the December 11th, 2017 Space.com post, "President Trump Directs NASA to Return to the Moon, Then Aim for Mars," the signed space policy directive makes official a recommendation approved by the NSC in October, 2017. The recommendation called for NASA to return American astronauts to the moon and build the foundation needed to send Americans to Mars and beyond. The unstated assumption is that, as outlined in the December 1st, 2017 post, "Deep Space Gateway 'Key Part of Exploration Roadmap'," the architecture which will be used to return Americans to the Moon will begin with the proposed Deep Space Gateway (DSG), a crew-tended cislunar space station concept proposed for possible partnership between NASA, Roscosmos and other current International Space Station (ISS) partners for construction after the ISS is retired in the 2020s. At least that's what Canada is hoping. That's why, as outlined in the October 26th, 2017 post, "A Quick Overview of the Next Few Expected Federal Announcements Concerning the Canadian Space Industry," our Canadian Space Agency (CSA) has climbed aboard the DSG bandwagon. As for the funding, according to the December 11th, 2017 Reuters post, "Trump wants to send US astronauts back to moon, someday Mars," NASA has indicated that initial funding for the new policy would be included in its budget request for fiscal year 2019. Of course, American presidents have had a poor track record in recent years when it comes to defining space policy. As outlined in the December 11th, 2017 Time Magazine post, "Trump Wants to Send Astronauts Back to the Moon. Will That Really Happen?," the current plans reverse President Barack Obama’s space policy, which called "for NASA to capture a small asteroid, move it to the vicinity of the moon and send astronauts out to explore it." Obama’s oddball plan, in turn, reversed President George W. Bush’s plan, which was a lot closer to Trump’s. And Bush’s at least altered President Bill Clinton’s, which was focused almost entirely on the space shuttle and the International Space Station, with little thought of the moon at all. Before Clinton, the first President Bush briefly flirted with Mars, but only until analysts ball-parked the cost of the mission at half a trillion dollars. By contrast, the Apollo program’s principal objective — to get American astronauts onto the moon and to do it before 1970 – was a shared vision of four presidents, from Eisenhower through Nixon. But will the latest US president have any greater success than his recent predecessors? Maybe not. As outlined in the November 30th, 2017 Space News op-ed, "A house divided, or in this case, a rocket," the DSG was once a part of the cancelled US Constellation program (CxP), and keeps popping up every few years as a legitimate answer to the question of what to do with all the NASA scientists and engineers involved with the ISS after that program is shut down sometime in the 2020s. According to the plan, you can transfer the ISS scientists and engineers to another space station, the DSG, which will use most of the same tools developed for the ISS. That's why Canada is on-board with the program. We get to re-use all the Canadarm technology originally developed for the ISS. In essence, the real story here might be the continuing concern NASA and space scientists have over their ongoing job security and the hoops politicians are willing to jump through in order to retain the support of those scientists and engineers. This might not be a problem president's or prime ministers can solve by returning to the Moon or going to Mars. But as long as everyone pretends, the jobs continue and the political base remains secure. Oakville, ON based Terrestrial Energy has announced that it’s integral molten salt reactor (IMSR) design had passed the first phase of a pre-licensing vendor design review by the Canadian Nuclear Safety Commission (CNSC). As outlined in the November 8th, 2017 Terrestrial Energy press release, "Terrestrial Energy IMSR First Commercial Advanced Reactor Assessed by Regulator," IMSR technology appears to be gaining traction in other nations for both civilian and military purposes. In January 2015, Terrestrial Energy announced a collaboration with Oak Ridge National Laboratory (ORNL) to commercialize its IMSR design and secured $10Mln CDN in funding. With Phase One of the CNSC design review proces complete, the company will enter Phase Two. Requiring further design detail, phase Two will take 18 months to 2 years to complete. Terrestrial Energy anticipates completing Phase Two in 2019, then obtaining a customer and beginning the reactor’s construction in the 2020s. IMSRs promise nuclear power that is far cheaper and greener than traditional methods. IMSRs differ from traditional fission-based nuclear reactors in that they use fuel (in this case, denatured uranium) which has been dissolved in a molten liquid salt. Because the reactor’s fuel is in liquid form, it functions as both fuel and coolant, transporting heat away from the reactor as it circulates. Thus, an IMSR cannot go into meltdown because a loss of coolant (the traditional cause of meltdowns) would also mean a loss of the fuel needed to drive the reactor. IMSRs would still produce radioactive waste, but at far lower volumes (kilograms versus tonnes) and far shorter time spans (200-300 years versus millennia) when compared to traditional reactors. Molten salt reactors are not new technology. Terrestrial Energy's design builds upon research done in the 1960’s in the US at ORNL. In addition, the Convair NB-36H "Crusader" aircraft, created under the US’ Aircraft Nuclear Propulsion program (ANP), flew a series of test flights from 1955-57 with a functioning salt-water reactor on board to ascertain whether a nuclear reactor could be used to power an aircraft. From 1961 to 1965, the Soviet Union performed a series of test flights of a Tupolev-95LAL bomber, using conventional engines and fuel, but also carrying a Soviet-designed molten salt water reactor. Both the US and USSR’s programs were cancelled due to the rise of ballistic missile technology. As outlined in the December 6th, 2017 Next Big Future post, "Thorcon floating supertanker molten salt reactors starting with 2021 prototype," a US-based startup called Thorcon Power is developing a molten salt reactor based off of ORNL designs for use on oil supertankers. Currently under development in the US, Thorcon intends to build the reactor in a yet-to-be-determined Asian shipyard, then float it to Indonesia, where testing will begin in 2021. Thorcon’s team includes several former ORNL engineers. The US and China are also eyeing molten salt water reactor tech for use in warships and drones in order to greatly increase their endurance and capabilities. As outlined in a 2012 Sandia National Labs paper under the title, "Project Accomplishments Summary, Cooperative Research and Development Agreement (#1714) between Sandia National Labs and Northrop Grumman Systems Corporation," from 2008-2011, Albuquerque, NM based Sandia National Labs and West Falls Church, VA based Northrop Grumman collaborated to design nuclear-powered unmanned aerial vehicles (UAVs) able to stay aloft for many months. According to the December 5th, 2017 South China Morning Post, "China hopes cold war nuclear energy tech will power warships, drones," China will spend $3.3Bln USD ($4.4Bln CDN) to develop two molten salt reactors in the Gobi Desert in northern China by 2020. Aside from civilian energy production, China considers molten salt ideal for powering UAVs as well as warships in its steadily expanding navy. In addition, molten salt reactors could be fueled by thorium, a material China has in abundance. Using thorium as a fuel would enable higher power generation efficiency, enabling aircraft carriers and submarines with greater speed and range than uranium-powered ones. As ever, nuclear technology remains a double-edged sword, enabling new human capabilities for both war and peace. Let us hope such capabilities are used wisely. Back in October 2017, this blog predicted that Prime Minister Justin Trudeau would need to make some sort of official announcement before the next Federal budget in March 2018 on the status of the enhanced satellite communication project (ESCP), a long running, expensive, but mostly unfunded proposal to build a two node constellation of modified Molniya orbiting Department of National Defence (DND) satellites "to fill the requirement of the new Canadian defense policy for all-Arctic (communications) coverage." "Hey Rocky! Watch me pull a rabbit out of my hat!" As outlined in the May 26th, 2016 DND website, "Enhanced Satellite Communication Project," the Liberal government initially postulated final delivery of the two ESCP satellites in 2024 which even then, was kinda amusing. That date has since been superseded by a revised "No later than 2029" final delivery date. Why were the dates so laughable? The ESCP was a follow-on the cancelled Polar Communications and Weather (PCW) constellation which, as outlined in the July 17th, 2016 post, "The Polar Communications & Weather Satellite (PCW) Mission is Dead; To Revive it, our Military Wants More Money," had been kicking around for a decade and had grown from a useful $600Mln CDN proposal into a far larger $4.5Bln CDN potential boondoggle before being cancelled. The previous PCW advocates were initially promised a "final delivery" in 2016. As Rocky the Flying Squirrel would say, "Hokey Smokes!" Graphic c/o Gov't of Canada. And, as outlined in the October 26th, 2017 post, "A Quick Overview of the Next Few Expected Federal Announcements Concerning the Canadian Space Industry," this blog also suggested that the DND proposal might be at risk of being cancelled or superseded in favor of a purchase of services from one of the numerous (and less expensive) commercial-off-the-shelf low Earth orbit (LEO) satellite communications constellations currently being assessed by the US Federal Communications Commission (FCC). Ottawa, ON based Telesat Canada, with it's proposed 290 satellite LEO communications constellation expected to become operational in 2021, was even mentioned as actively lobbying DND to become the "anchor tenant" for its satellite constellation. But this week, DND released the long anticipated "Request for Information for the Enhanced Satellite Communication Project - Polar (ESPC-P)." As outlined in the December 4th, 2017 BuyandSell.ca letter of interest LOI/ request for information (RFI) under the title "Enhanced SATCOM Project - Polar (W6369-180123/A)," any real work on the program, now known as ESPC-Polar (or ESPC-P for short) has been pushed out well past the next election. A contract award for ESCP-P is expected "no later than 2024" according to the LOI/RFI. By the time the satellites are launched and operational, it could be 2029. This places any contract award well past the 2019 estimated date for the next Federal election and also past the 2020 - 2022 date for the roll-out of many of the FCC proposed civilian LEO com-sat constellations, such as the one proposed by Telesat. ESPC proposed procurement schedule according to December 4th, 2017 Buyand Sell procurement documentation on the ESCP-P program. Graphic c/o Gov't of Canada. And here's where it gets silly. After years and years of serious study, the Federal government insists that it still doesn't really know how the satellites should be configured or what they should be doing. In consideration of industry's insights and other operational imperatives, a Request for Information (RFI) is being used to initiate engagement with industry to help further define the requirements for a more comprehensive solution as well as to understand current market capacity and interest in preparation of a subsequent RFP (Request for Proposal). Informing "Industry" of the DND ESCP-P requirements. Obtaining industry input "on the feasibility, deficiencies and proposed improvements with respect to potential options to meet the requirement needs." "Align this requirement" with the industry capabilities "as applicable," whatever that means. Seek industry input on "potential economic leveraging opportunities." Obtain rough order of magnitude (ROM) costing estimates. Given that the idea of two satellites in eccentric orbits able to cover the Canadian north to provide a variety of useful applications has been kicking around Ottawa, DND and the Canadian Space Agency since at least 2008, when the idea was known as the polar communications and weather (PCW) constellation, it seems obvious that most of the answers to the above listed questions are already available. 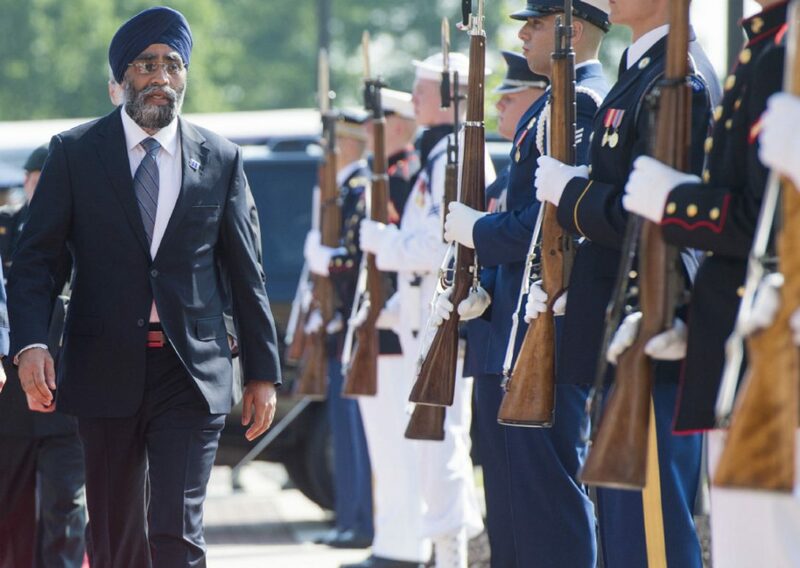 It should be noted that even Canadian Defence Minister Harjit Sajjan (shown here, walking past an honour guard at US Joint Base Andrews in Maryland, where he attended a meeting of defense ministers on July 2nd, 2017) concedes that the Canadian military is underfunded. As outlined in the October 26th, 2017 Global News post, "Liberal government’s defence plan threatened by shortage of procurement staff," Senior officials at the Defence Department believe that "they will be challenged to make good on the Trudeau government’s promise to buy billions of dollars in new military equipment in the coming years." Photo c/o Saul Loeb/ AFP/Getty. Therefore, it cannot help but be noted that the ESCP-P program seems to have been intentionally delayed by the government. This is likely a cost cutting measure, although government representatives at one point also suggested that there simply isn't enough Federal procurement staff available to facilitate the process and fill out the necessary paperwork. Whatever the real reason for the delay, current estimates to complete the ESCP-P program start far north of the estimated $1.5Bln CDN the Federal government is willing to concede. All of which is bad news for the Canadian and international space companies who've been waiting years for this project. They'll be forced to pretend that everything remains on-track for an eventual purchase, even as they (and their supply chains) slowly twist in the wind. Another reminder that cost might indeed be a constraint on the ESCP-P program (then called simply ESCP). As outlined in the March 14th, 2017 Ottawa Citizen post, "Canada talking to U.S., Norway and Denmark about footing bill for new Arctic military satellite," the contract was then expected to be "awarded in 2020 for the Enhanced Satellite Communication Project. The spacecraft would be launched around 2024." Graphic c/o Ottawa Citizen. Perhaps ESCP-P will be revisited should the consultation process develop the political consensus needed to move forward or money becomes available. Perhaps the program will merge into a commercial proposal and/or become part of the upcoming Telesat constellation. Perhaps the government will hire more procurement officers to deal with the backlog and/or continue to deal with Arctic military communication requirements the same way it always has, with a little help from the Americans. Or perhaps ESCP-P will just fade away, to be revived by the next government as a new proposal under a new name. Like last time.